Technology can make a perfect Father's Day gift, whether it's filling a need or for having fun. Here are eight ways to show how much you care. 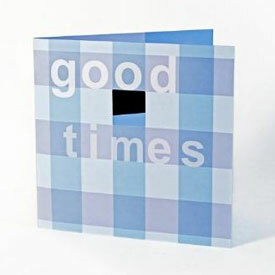 Finally, store-bought greeting cards get personal. 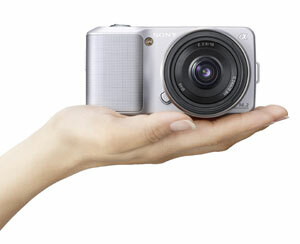 Pandigital cards feature a 1.44-inch LCD to show off up to 50 of your favorite digital pictures. Plug the card into your computer and drag and drop the images you want onto the card. Retail price: $35 for a 3-pack. Check the price at Amazon.com . 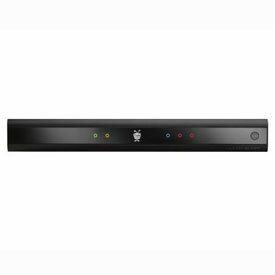 There's always something Dad will like on TV with TiVo's Premiere DVR. He can set up "season passes" or a Wishlist to auto record his favorite programs; browse movies on Netflix, Blockbuster on Demand and Amazon Video on Demand; or view family photos stored online at Picasa or Photobucket. Retail price: $300, plus subscription starting at $14 a month. Check the price at Amazon.com . Half the size of traditional Digital SLRs and noticeably smaller than the new pocket-size DSLRs, this powerful 14.2 MP camera takes great pictures, especially in low light. It also provides continuous autofocus and exposure compensation when taking HD movies, something that's hard to find in a camera. Retail price: $600 (with an 18-55 lens). Pre-order for delivery in July at SonyStyle.com. TV-obsessed fathers who commute by rail, bus, cab or carpool, can watch subscription TV on the go with this pocket-size TV. 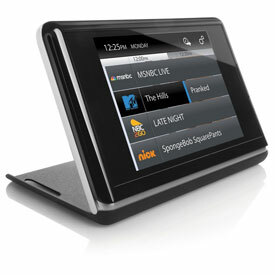 Choices include CNBC; three cable news channels; and mobile versions of ABC, CBS, Fox, NBC, Comedy Central, MTV and ESPN. For entertaining the kids on trips, there's Nickelodeon and the Disney Channel. Whether a frequent flier or a music lover, dad will appreciate great audio quality and the peace of active noise canceling technology. 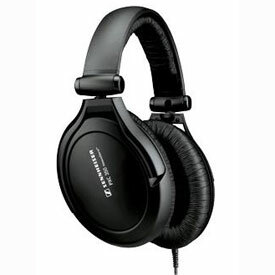 Designed with thick ear cushions and a padded, adjustable headband, the headphones can be collapsed for storage. The PXC350 eliminates airline cabin hum for hours on two AAA batteries, and–unlike some competitors–can be used as passive headphones. 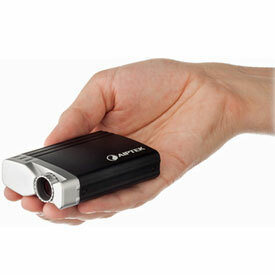 If you thought tiny projectors couldn’t get any smaller, guess again. This projector is the size to a deck of cards. There's no battery or power cord, as power is delivered through the same USB cable you plug into your laptop for accessing websites, slides or movies. In a dark room, the projector produces up to a 50-inch image. Retail price: $192. Check the price at Amazon.com . 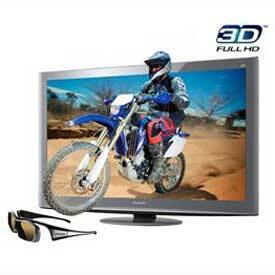 Has dad been hinting he'd like to watch the FIFA World Cup in 3D? Give him a great 3DTV: the VT20. It's also one of the best 2D TVs, with all the contrast, deep blacks, subtle shading, fast response and wide viewing angle you'd expect from plasma. One pair of 3D eyewear is included. Retail Price: $2,448. Available at Best Buy. 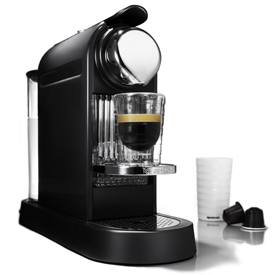 The pod-based Nespresso CitiZ makes fantastic espresso in 30 seconds, with practically zero effort. And the super-slim art deco design will fit into any kitchen space. We have a Nespresso machine at home and—trust us—it is positively addicting. Retail price: $280. Check the price at Amazon.com. Well - 4 kids, 7 grandkids, and a whole new lifestyle as disabled - I can’t think of anything that would be more help at keeping up with technology so I can keep up with the rest of the family and their wishes, likes, and learning curve.